Final set of travel photos! 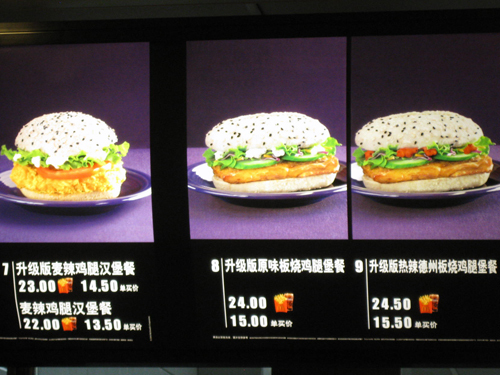 These are snapshots from my daily life in Shanghai and Beijing, of things that I found amusing or culturally interesting. This is the elevator in my apartment building—see how all the floors numbers containing 4 have been replaced by adding an A to the floor number below? 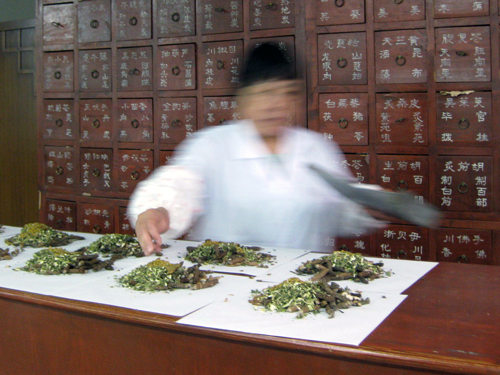 Four is an unlucky number in China because the Chinese words for “four” and “die” sound alike. 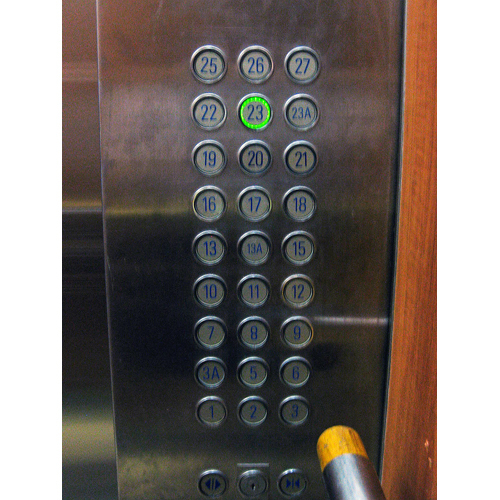 According to a lady I once shared the elevator with, people from Hong Kong are especially superstitious, and buildings built by Hong Kong firms (like mine was) often have floors numbered this way. One of my rambunctious young almost-cousins received this toy while I was staying with his family. 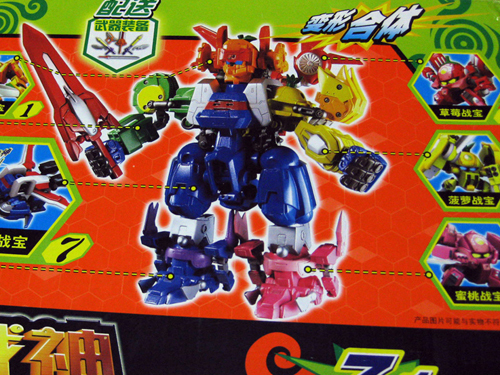 At first glance, it looks like a generic transformer-type toy—add the individual fighters together to make a super fighter. I had a Power Rangers one, myself. BUT: The individual fighters here aren’t animals or people. They’re different kinds of fruit. Seriously. 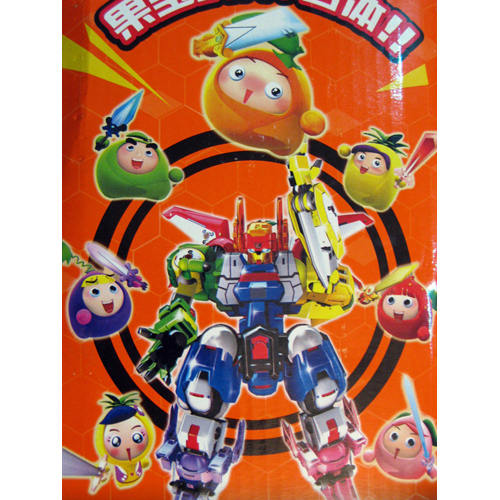 And the English translation on the box says “Fruity Robo.” So amazing. 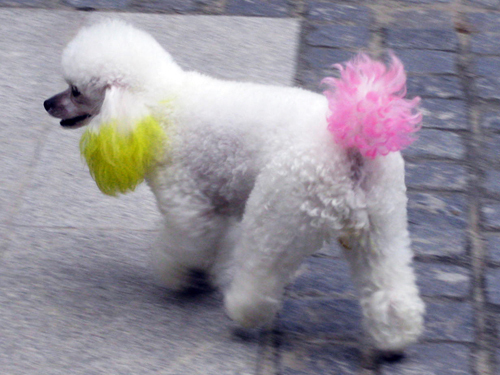 I bet this poodle is seriously pissed off about the dye job. 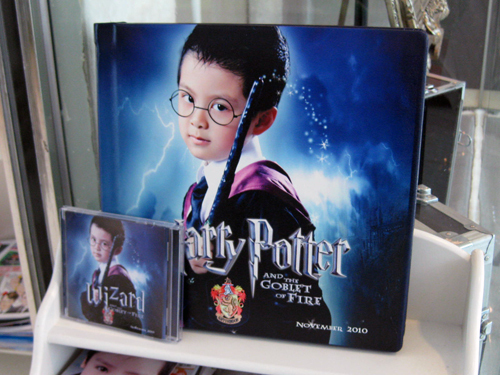 Lots of affluent Chinese get really fancy portraits done—when they get married, when they have kids, etc. It’s a huge affair with lots of costume changes, props, makeup artists, etc. And it’s ridiculous. But also awesome. And you can dress up like Harry Potter! The Shanghai Natural History Museum was really decrepit and sort of creepy. But not in the cavernous, gothic way I was hoping for. 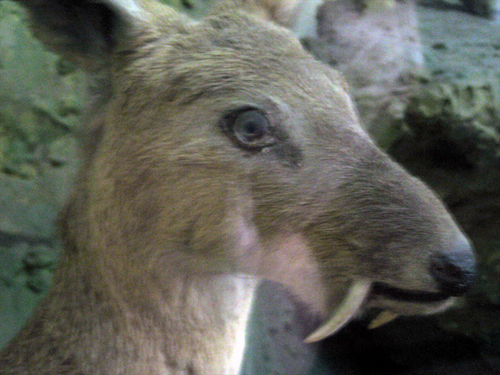 We saw this fanged deer specimen there. 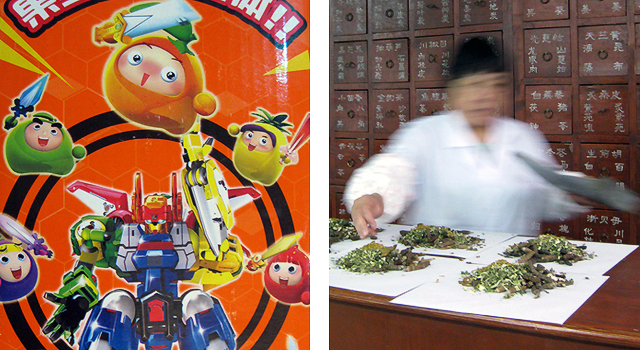 No idea if this is a real thing—all their signs in Chinese. 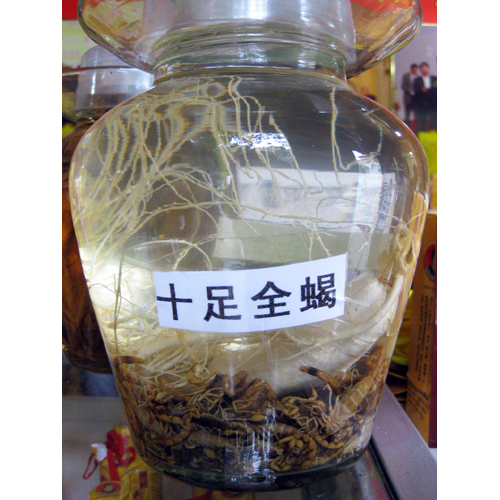 “Scorpion Wine” to heal all that ails ye. Like that overstuffed wallet. 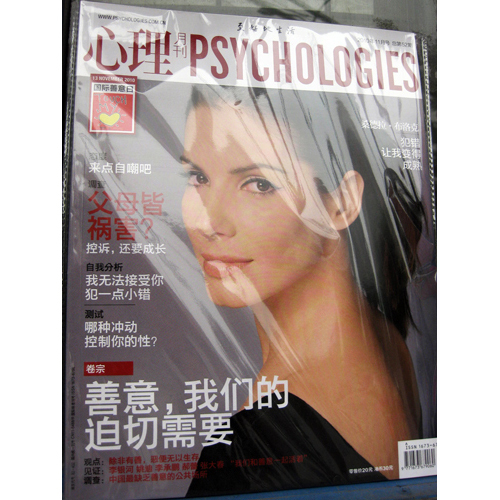 Sandra Bullock on the cover of “Psychologies” magazine. Because why not?